So we've had some shifting in the release dates for a number of upcoming Godzilla products...INCREDIBLE, BUT TRUE! Folks who have been collecting Godzilla Vinyl Wars have been used to Medicom's sporadic, slow output for a couple years now, but with the busy year X-Plus has been having, we've been seeing a lot of their US releases push back as well. Due on 11/15, we've still got some spaces available for the Sakai'92. He's $215 shipped in the US, $250 shipped overseas. Due January 2018. $215 Shipped in the US. Due February 2018. $215 Shipped in the US. Due February 2018. $180 Shipped in the US. Due February 2018. $215 Shipped in the US! 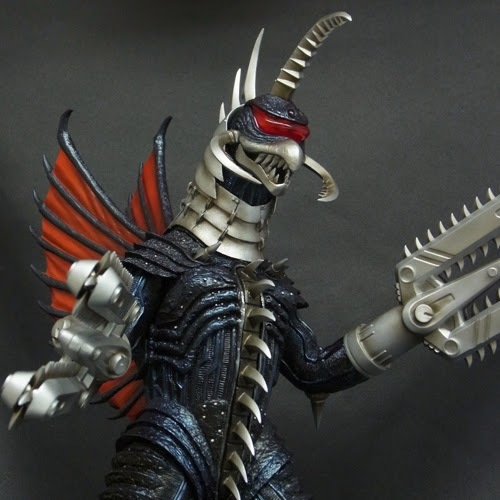 Also shifting out of January, and towards March 2018, are the Gorosaurus and King Caeser figures from X-Plus' "Toho Giant Monster Series". You can pre-order them, or any of the other figures in the series, here. The upcoming Gigantics from X-Plus have also shifted to late March 2018 for now. We're only selling those at conventions, or as local pick ups. If you wish to special order any or all three, you can contact us here. There were two that were expected to arrive this week, but did not. We now have unofficial reason to believe that they will be showing up before year's end. While still waiting on more official word, rumor has it that these SHOULD arrive stateside before Christmas. It could also be wishful thinking on our part. Preorder spaces for both figures are currently capped. Anyone wishing to get on a waiting list for either or both can contact us here. And now for the big news on the GVW front! 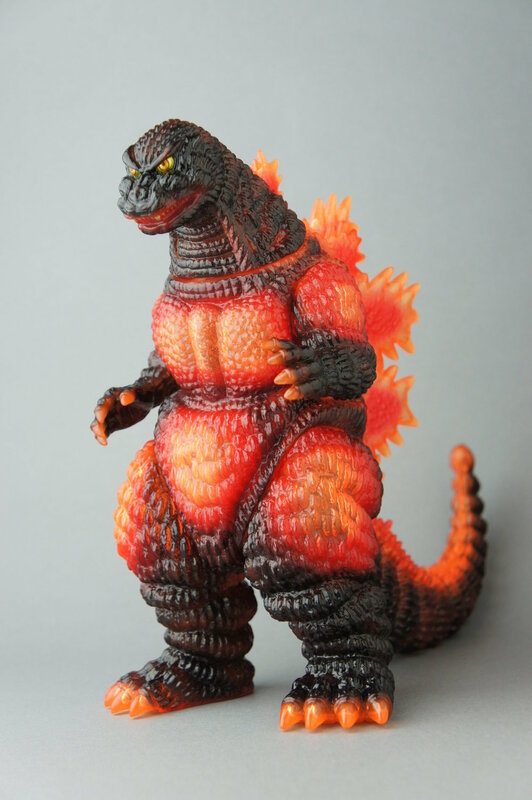 Medicom finally spilled the beans overnight about both of the upcoming Marmit Burning Godzilla figures! 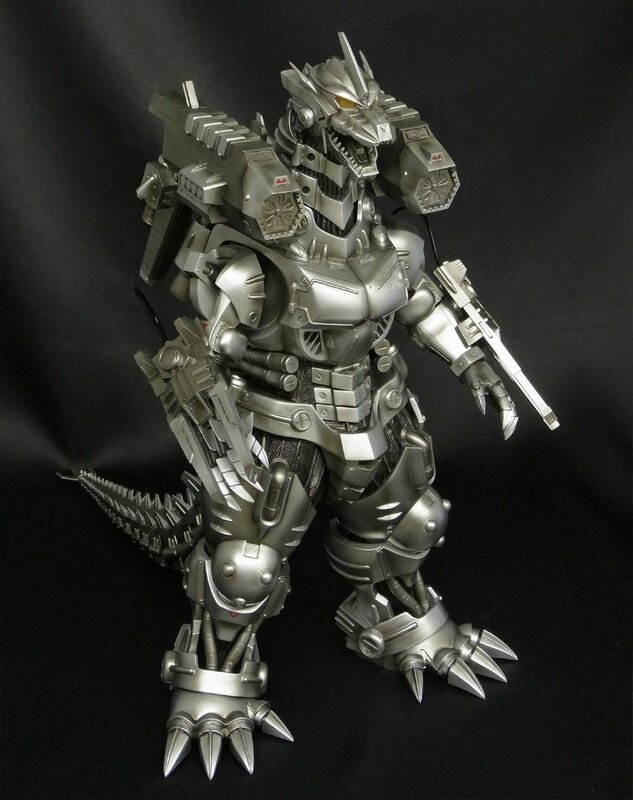 The standard size figure is intended to be a Toho Theater exclusive in Japan next month, no doubt to coincide with the theatrical bow of the new anime film GODZILLA MONSTER PLANET. The larger scale Marmit burning godzilla will be a Japanese exclusive to wholesaler "Canyon Crest", bowing around the same time. Vampire Robots is scheduled to get both in January! Preorders are currently capped, but if you're interested in joining the waiting list, you can contact us below.